How then are we to prepare our restless hearts to receive the power of the Holy Spirit? Why has study after study shown that people of religious conviction are the happiest? When Pentecost arrived, the Holy Spirit appeared as tongues of fire that came and rested on the disciples (Acts 2:3). 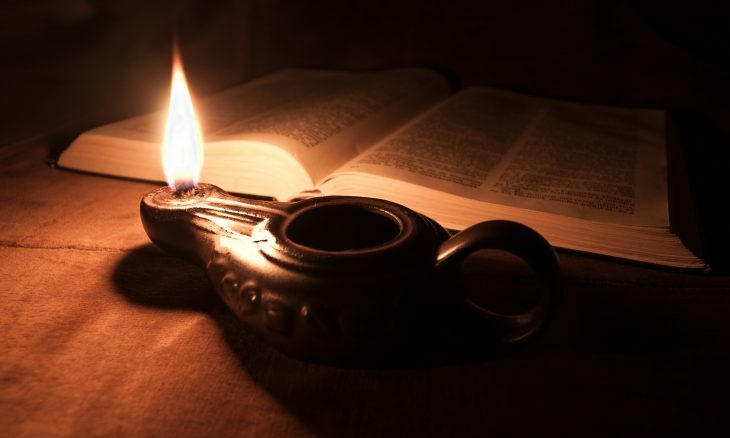 We know fire needs fuel to ignite, whether it’s kindling or, as in the parable of the 10 virgins, oil for a lamp. Spiritually speaking, the Holy Spirit will come to rest on those hearts that have provided the fuel for its fire. So, what is the fuel we offer for the Holy Spirit’s fire? Obedience In Love (O.I.L.) is what Sacred Scripture refers to as “fear of the Lord” or holy fear. As distinct from servile fear (fear of punishment), holy fear is a fear of disappointing or being separated from the one you love. St. Francis de Sales wrote, “We must fear God out of love, not love Him out of fear.” It is like a son who loves his dad very much and fears disappointing him or damaging the relationship or being separated in any way. St. Paul wrote: “So you have not received a spirit that makes you fearful slaves. Instead, you received God’s Spirit when He adopted you as His own children. Now we call Him, ‘Abba, Father’’’ (Rom 8:15). Why did the Bridegroom say, “I do not know you” (Mt 25:12) to the foolish virgins who did not bother to bring enough oil?